You will be using BOTH Adobe Illustrator and Photoshop for this final project of this school year. The first part will be to create an Illustration of a CD in Adobe Illustrator. Just take your time with this, no need to rush. Work together to help each other with each step. I would like you to get this part done by the end of the week. For my Black schedule classes, end of class on Monday will be your deadline. Open Illustrator CS5 and make a new page: 8.5 x 11, Landscape. 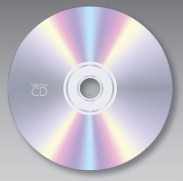 < You will Create this cool-looking CD and save it as an Illustrator File. These directions are forthcoming. Please stand by as this section will be available shortly.